Board Testing with Stranda Snowboards. Back in the Alps, back on the snow. Wakesurfing with Ceccotorenas – Every Monday Morning episode 39. Living in a landlocked country can be hard if you need vitamin sea badly. It’s a good thing we have lakes and boats on them. Combined correctly, the two of them give us solution number two for landlocked surfing: wakesurfing. 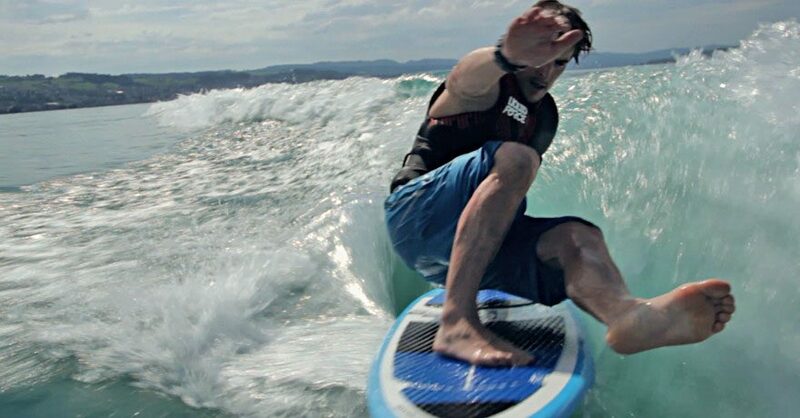 Episode 38 is the fist part of a series about how we surf in Switzerland. No matter if behind a boat, on a river or surfing the Citywave. As long as we can surf, we’re happy!